Following an unusual encounter with a stranger, Maya Maxwell is driven to discover her connection to a prophecy about the Emerald Stone, a sacred tablet hidden in the Great Pyramid of Giza. The Stone holds the power to create the change required for humanity to survive the “Dark Rift”, a rare astronomical and celestial alignment that is predicted to occur on December 21, 2012. Maya is one of the four Chosen Ones destined to activate the Stone that will give birth to the Phoenix Star and lift humanity to higher levels of enlightenment. During her pursuit of the elusive stone, Maya must face her fears and make some very tough decisions about the course that her life will take. Discovering the truth will set both her and humanity free from imminent destruction. But this can only be accomplished by winning a battle against a despicable villain working on his own agenda to conquer the world. Kiernan Antares is a purveyor of powerful words, a custodian of fantasies and a possessor of rich spiritual insights. 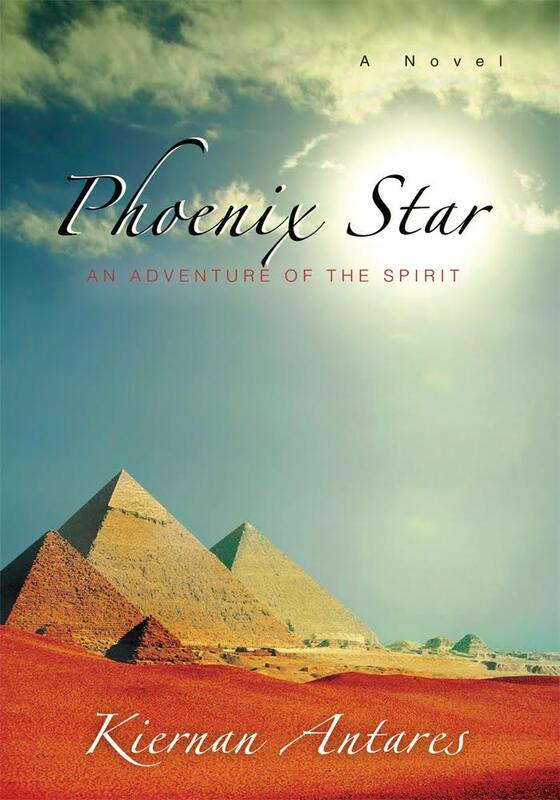 As such, more than just a novel, Phoenix Star, is a journey for the mind, body and soul, consistently providing opportunities to live out its characters very real and life altering experiences. There is no time, need or chance for you to come up for air. You’re hooked from the very first page. Kiernan Antares has truly entertained greatly and taught gently, cleverly woven into a fascinating story are a number of significant lessons in life for us humans living an emotional and physical experience in a crazy world. Phoenix Star is absolutely gripping and a wonderfully created story with characters I was disappointed to part with when the story ended! Kiernan’s debut novel puts her on the map as a masterful storyteller who develops very real characters that pull you into their adventure of enlightenment and transformation of the spirit. You can’t help but finish it with a smile on your face. An inspirational fantasy celebrating the magical potential inside us all. I could not put it down.